Humans shouldn’t be the only ones to reap the benefits of CBD. With CBDISTILLERY’s 150mg CBD Pet Tincture, your beloved pets can feel the same potential relief and calm that you do. 100% natural, cold-pressed natural hemp seed oil is great for dogs, cats, and other four-legged pals. Studies have indicated that CBD can have similar health effects for pets as it does for humans. 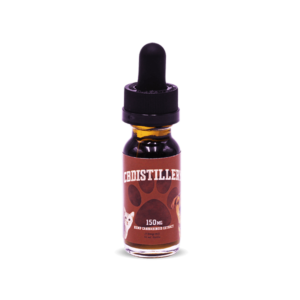 Unlike their human tinctures, this 150mg Pet Tincture has been mixed using cold-pressed hemp seed oil, specifically designed to aid in digestion.